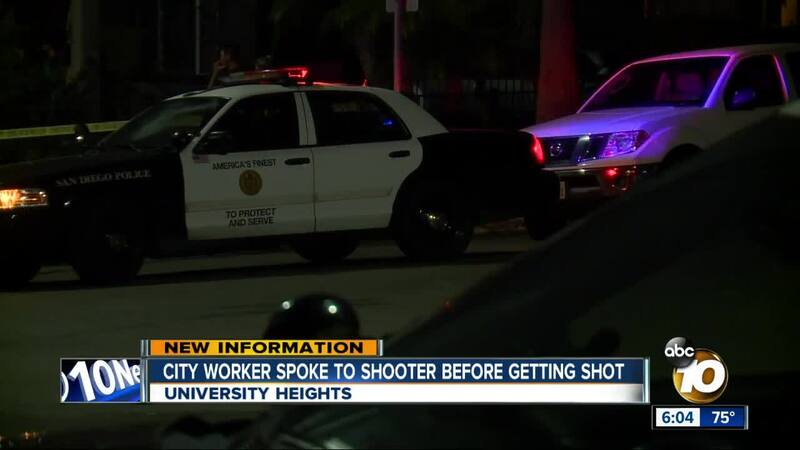 SAN DIEGO (KGTV) -- As a 55-year old supervisor in San Diego's Water Department begins the process of recovery from a shotgun blast Monday night, we're learning more from his family about the moments before the weapon was fired. It happened on Meade Avenue in University Heights about 8:30pm, when a Water Department Supervisor began checking the work of his crew on a broken water main and notifying residents their water was back on. An elderly man, who told police he believed someone was trying to break into his house, fired one shotgun blast from his porch, striking the Supervisor in the upper right arm. The victim's family says from what they're hearing from their loved one, the shooter should have known there was no threat. The wife of the victim, Janice and her daughter, LeCarla sat side by side speaking to 10News via Facetime. "The crew were up the hill finishing up," said Janice, "And he [my husband] said, "Hey, let me double check things and he went down to make sure everything was covered." Janice says her husband was just doing his job the man stepped on his porch and opened fire. "He just couldn't believe somebody would just do that.," said LeCarla, "And he was numb at first. He was just saying, why would somebody just do that." The shooter -identified as 79-year old Nathan Brogan- told police he thought someone was breaking into his home. But family members say their husband and father -who they've asked not be named just yet- tells them he was able to identify himself to the shooter before the shot was fired. "He said the gentleman was on his porch," said Janice, "and he was on the sidewalk." LeCarla quickly adding, "He said he was walking back and then when he heard the door unlock, he was like, hey, this is a city wide department, just letting you know you're water's back on. And the man exchanged whatever words he had." 'I don't care who you are.' and that's when he shot him." One witness who ran to the scene after hearing the shot says the elderly man appeared to be disoriented. Police arrested 79-year old Nathan Brogan, charging him with three felonies, including attempted murder. He's scheduled to be arraigned Thursday. Meanwhile, the near 30-year veteran supervisor remains in the hospital. Janice and LeCarla say he's been through one surgery and is facing at least one more. He still can't feel his right hand but is beginning therapy to restore movement to his arm. There overall mood is one of relief that he's alive and doing well, all things considered. Janice and LeCarla say some nine shotgun pellets were removed from his arm Monday night. And when the assault first took place, their husband and father feared at the scene his arm may have been blown off. "All he kept saying, was he thought his arm was falling off," said LeCarla, "He said, I lost my arm! But the lady kept saying, no, it's there. And they just kept packing the wound." 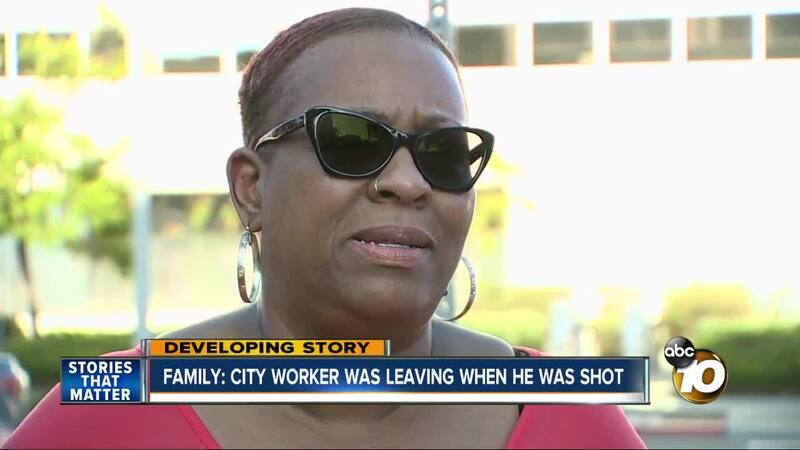 That woman an off-duty nurse who heard the shots and ran to the scene; helping the injured man despite not knowing what the shooter might do next. And off-duty police officer also responded. They're now visiting at the hospital... As the city worker begins the process of recovery... Both physically and emotionally. "He's still going through it right now," said LeCarla, "He'll just wake up and think he's still there."